Tell us about Say You’ll Stay. Say You’ll Stay is a story about two people who loved each other so much when they were young, but couldn’t figure out a way to make it. Presley finds a way through her heartbreak and learns to love again, only to have it fall apart. 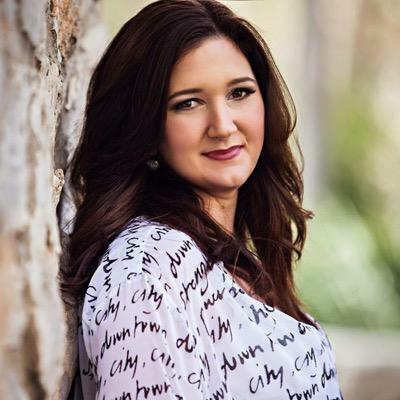 She has no choice but to return to the small town in Tennessee with her boys. But she didn’t prepare for the possibility that he was there. It’s a second chance love story in every sense of the word. So many things. So many parts of my life and things that I’ve witnessed first hand. I feel like there’s always this one guy for all of us. The one that got away. The one we spent way too many nights thinking of, wondering about, and we can’t let it go. That’s what drew me to finally let it out. There’s always that ONE guy. It’s why my dedication was so important to me. The other part is when life falls apart, we as women have to keep going. It’s why I really felt so compelled to write this. As I’ve mentioned to you, second chance romances are my very favorite type of romances, especially when there are many years that have disrupted their love story. For me, it makes their whole reunion more emotional, their story more gutting and heart-wrenching. Can you talk about your decision to have Presley and Zach separated for 17 years? Did the story drive that decision or were you trying to achieve something in particular? For me too! I love second chance romance. In a way all of the books we read are second chance in one way or another, but this kind is my guilty pleasure. I’ve always wondered what would happen if that ONE guy came back into my life. It’s been over 16 years for me, which I totally just realized as I typed this, and I feel like their reunion is really how mine would go. I can be a hot head, and even though we’ve both moved on … I’m happily married as I think he is … I still hold that anger inside. I don’t know that Zach and Presley could’ve seen each other in any other way. They also needed to live, and I felt that this story had to play out that way. 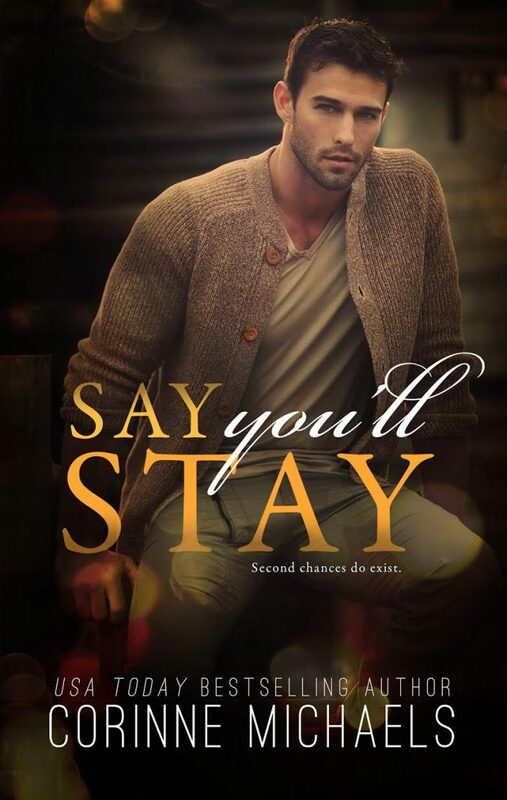 Say You’ll Stay is the first in a series of standalones. What can you tell us about what you have planned for the next novels in the series? Ahh! Yes! So next is Wyatt Hennington in Say You Want Me where he’ll need to conquer his Peter Pan complex a little. I can’t even tell you how excited I am for his book. Then Trent Hennington will get his book in Say I’m Yours. I’m toying with the idea of Cooper, but that will be decided later on. I love these three brothers so much. This is your 6th published novel, what have these last two years been like? Is it still as nerve-racking as in the beginning or have you found some peace in the craziness? Any traditions on release day? Yes, six. Wow. The last two years have been crazy, and surreal. I don’t know how to really explain it. I went from writing for myself, beta reading, reviewing, and just being a fangirl to this. It’s such a blessing. I truly have been so lucky and I’m eternally grateful. As for the nerves, I wish you could see me. I’m a mess. I become an emotional loon who cries, laughs, wants to crawl in a hole, but still needs to know everything. It’s ridiculous. I feel bad for my friends—kinda. My only tradition is to go out to dinner. B, takes me somewhere that serves martinis and I try to focus on him and the kids. This time I won’t really get to do that, but I’m going to make up for that. As a reader, any recent book faves? I wish I still read! I haven’t read a book in forever. I’ve just been rereading Twilight and Harry Potter. The only other book I’ve read is Big Girls Do It Running by Jasinda Wilder. It’s been so hard with my writing schedule—and Netflix—to keep up with new releases. Although, I still one click pretty much daily. It’s a habit I refuse to give up. I am going away in July and I plan to binge read.